We will write up a customized brief to suit your specific theme and age group. You will have numerous different setup possibilities that we will design to suit your theme. We will arrive 45 minutes prior to your event so we have plenty of time to set up and make sure everything is perfect before the party starts. The session will be approximately 90mins long. A Mess it Up team member will be on site at all times to interact with the kids, refil where needed and just keep a watchful eye over everything. We will also provide wipes and towels for anyone that wants to clean their hands. After the allocated time we will start to clean up. This will take approximately 30-45mins depending on the level of mess. 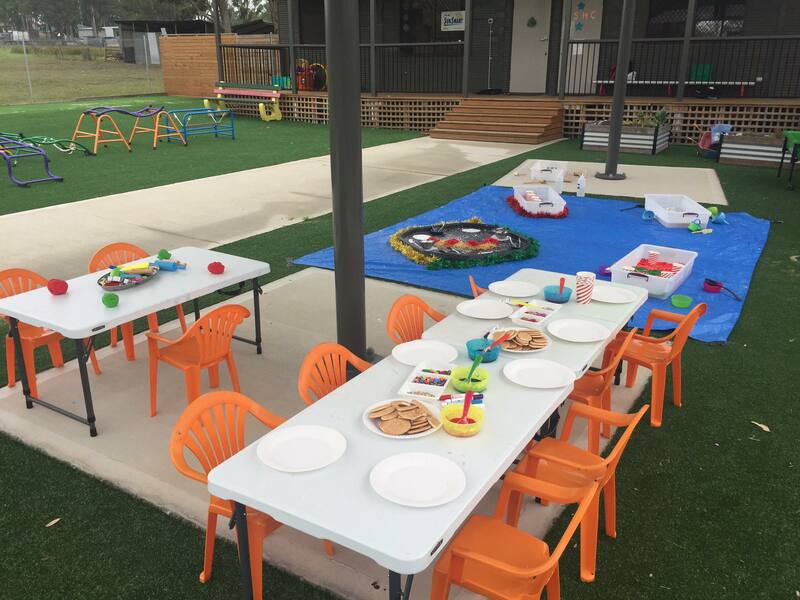 If you would like to know a price for your party please send us an email with a date, approximate time, location, number of participants and theme. From there we can write up a quote, send that to you for your approval and then lock it in! The session will be approximately 90mins long. 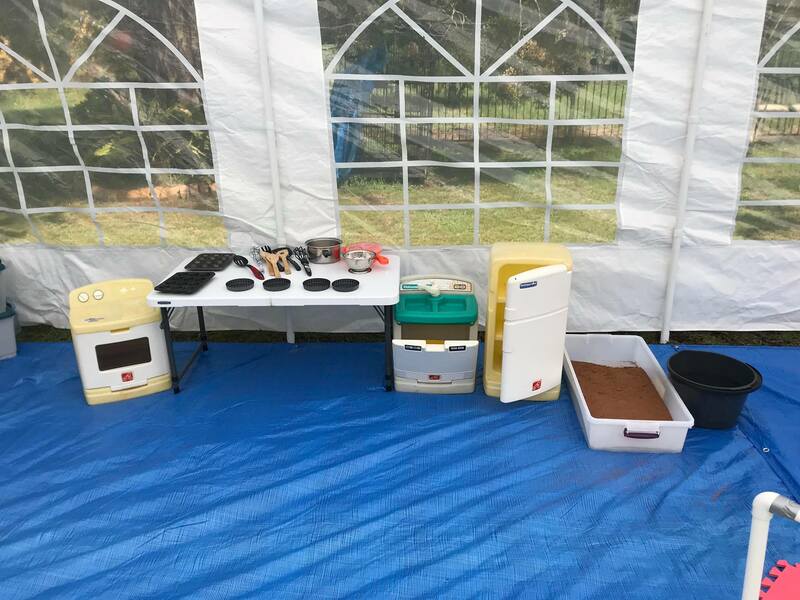 A Mess it Up team member will be on site at all times to interact with the kids, refill where needed and just keep a watchful eye over everything. We will also provide wipes and towels for anyone that wants to clean their hands. 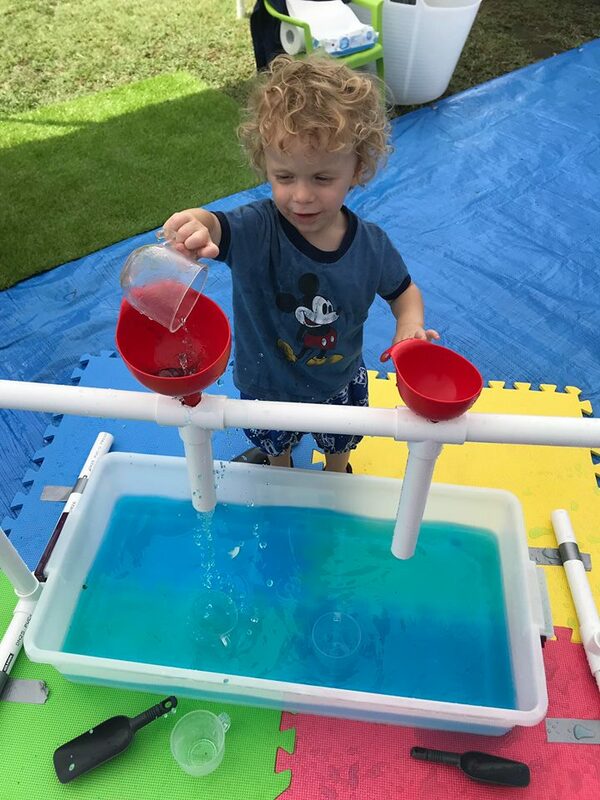 While we do offer set packages the final price may vary depending on amount of children attending and how many stations you would like to have. (Additional children will be $15 per child). You can select from a range of different station ideas. Things like playdough and a craft/painting are always a crowd pleaser. A spaghetti table, rice or coconut set up work well. 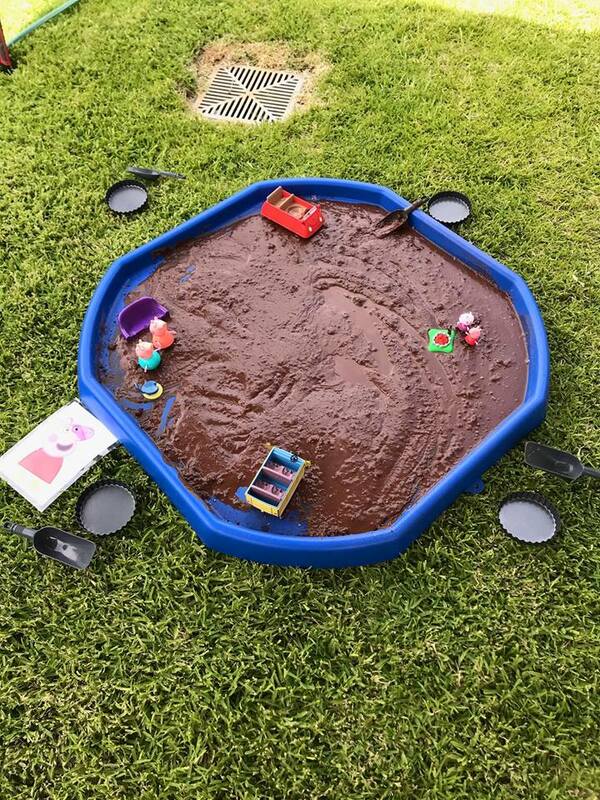 We can also do moon sand, taste safe mud and slime. 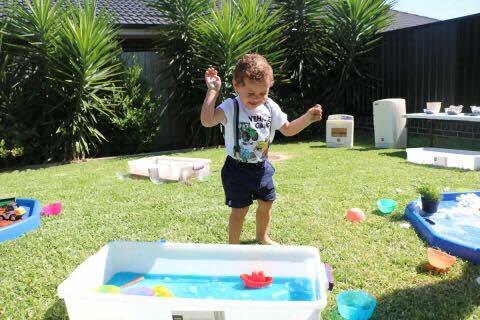 When the warmer weather comes we can do parties full of water play. Depending on the level of messiness we can also include a kid’s kitchen, full of things they can mix and blend together. The possibilities are endless. We want to work with you to decide what activities will work best for the season, age bracket and amount of children attending the party. 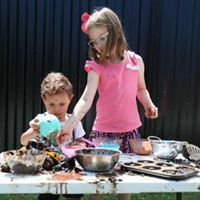 Mess it Up also offer Slime Parties for 5-12yr olds. 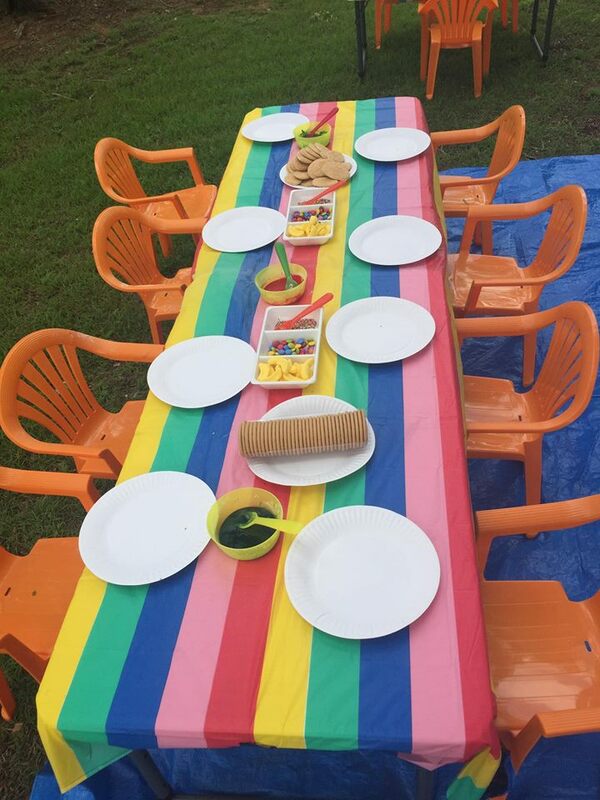 A Mess it Up team member will host the party with all ingredients supplied by us including take home containers, tables and floor coverings ( if required). At the party we run through what ingredients are needed, how to make the slime and then we let the kids decorate it with plenty of sequins and glitter. 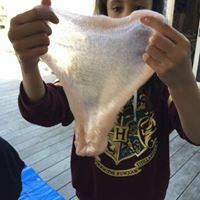 Once the kids are happy with their slime, they can pack it in a container to take home, that’s if they want to stop playing with it! 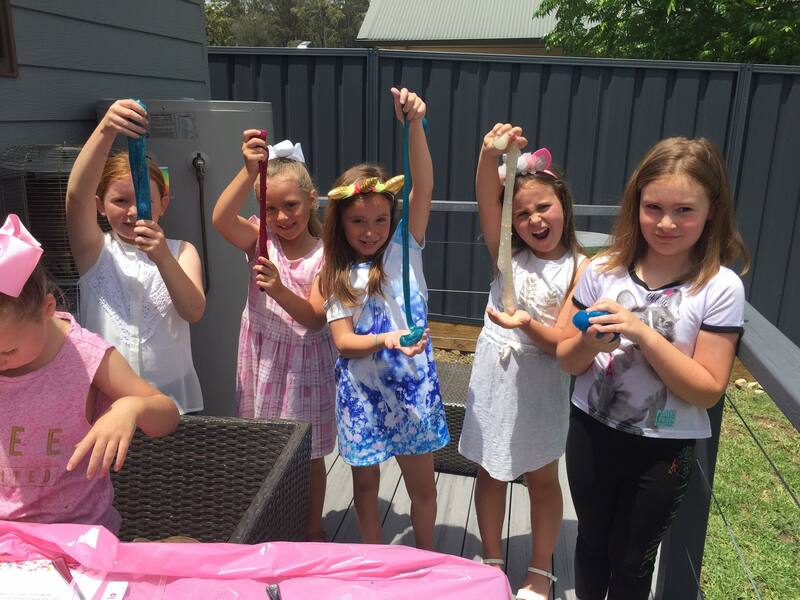 Our slime parties are $16.50 per child for 1 hour of slime making plus 30 mintues set up and pack down.